A B1 visa may be granted on a case-by-case basis to self-employed foreign nationals to work in an Israeli business. Detailed rules apply to employers and employees regarding, among other things, pre-arrival medical examinations, as well as housing and medical care. For a B1 visa application, the registration fees payable to the Ministry of the Interior amount to approximately US $3,050. A foreign national may work in Israel only if he or she enters the country with a permanent residence visa, a temporary residence visa, or a B1, B4 or A1 visa. An applicant for a temporary residence visa for employment must file certain items. National insurance contributions are generally payable on taxable income as calculated for income tax purposes. The table below sets out the rates of national insurance contributions. For residents, these rates include a supplementary health levy. Foreign residents generally arrange comprehensive private health care. (a) 52% of social security contributions paid during a tax year on unemployment income is deductible for income tax purposes during the year of payment. (b) Lower contributions may apply to Israeli residents who work abroad as self-employed persons for continuous periods exceeding six months or for nonresident employers, unless they were hired in Israel. (c) An organization levy at rates of 0.7% to 0.95% is also payable by Israeli residents who are members of certain labor unions or who work in a unionized workplace. 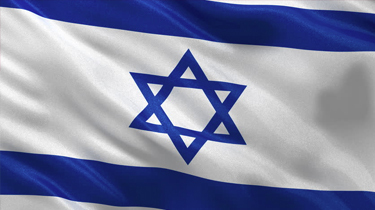 Thinking of contracting in Israel?